Kung Fu Panda is back! General Mills is teaming up with DreamWorks´ Kung Fu Panda 2 to bring the action-packed adventures right to your breakfast table. Being a member of MyBlogSpark has been rewarding and I am pleased to have the opportunity to take part in this new BlogSpark! 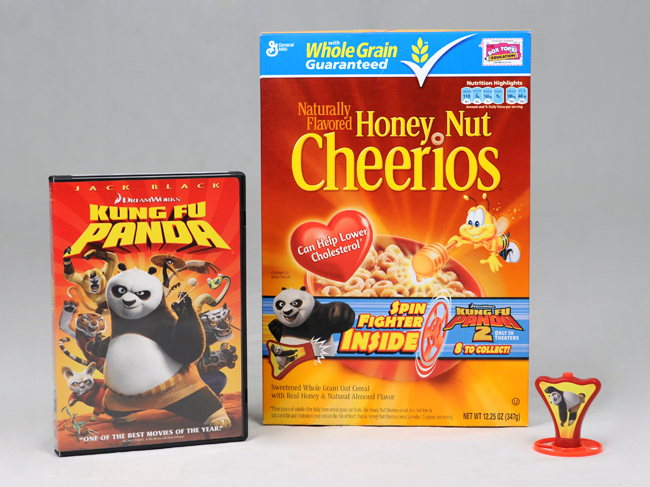 General Mills has teamed up with Dreamworks, Kung Fu Panda 2 and throughout this spring, you will find Kung Fu Panda 2 Spin Fighter Toys in boxes of General Mills cereal. Participating General Mills cereals include Cocoa Puffs, Trix, Golden Grahams, Reese’s Puffs, Cheerios, Apple Cinnamon Cheerios, Cookie Crisp, Lucky Charms, Cinnamon Toast Crunch, and Honey Nut Cheerios. The back of the boxes also include cut-out character targets. The Spin Fighter Toys feature 8 different characters all in different colors so you can collect them all. The characters include Po, Tigress, Crane, Monkey, Viper, Mantis, Shifu, and Lord Shen. They each have a disk that spin off from the base by pushing a button and the disk spins and flys away. I received a prize pack from MyBlogSpark that included a box of General Mills Cereal, and additional Kung Fu Panda 2 Spin Fighters (which is found in a box of cereal), and a DVD of the first Kung Fu Panda movie! My kids have fun playing with their Spin Fighter Toys and of course they love Kung Fu Panda! My family have always been a big fan of General Mills cereal too and all our kids have grown up (so far) with Cheerios. Cheerios have always been all three of their first real cereal and I have always felt good about giving it to them. We buy a lot of the other General Mills cereal as well. Please check the nutritional label on the boxes of cereal. If you haven’t seen Kung Fu Panda, you should sit down with your kids and enjoy a good family movie together. It’s rated PG and it’s really funny. Po’s voice is done by Jack Black and he does the character justice. The plot of the movie isn’t all that original in my opinion but it is pretty interesting. Po works at a noodle shop and he has always looked up to the Kung Fu fighters Tigress, Viper, Monkey, Mantis, and Crane and of course Master Shifu whom has trained them all. Po would never have dreamed about actually doing Kung Fu and doesn’t know the first thing about it. He’s definitely a character that you would never think about doing Kung Fu or learning it, yet somehow he becomes the “chosen one” to become the next Dragon Warrior to take down the bad guy, Tai Lung. The whole movie is so funny because Po (he’s the panda) because he doesn’t know the first thing about learning or doing Kung Fu and Master Shifu seems a bit discouraged because he can’t seem to fathom how Po becomes the Chosen One. Of course Po also has his rounds with Tigress because she has been training ever since she was young and can’t believe that this goofy, always hungry panda is the one to become the next Dragon Warrior. Watching the movie, you start to wonder if Po could ever actually do it. We are still waiting to see Kung Fu Panda 2 and my kids are looking forward to it. 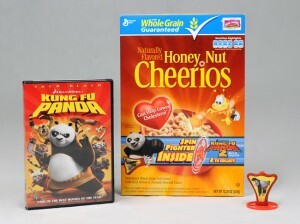 Grab a snack with General Mills and watch Kung Fu Panda! Kung Fu Panda 2 is coming to theaters May 27th! You can purchase General Mills cereal at your local grocery store throughout this spring to collect all 8 Kung Fu Panda 2 Spin Fighter Toys! Of course you can also find Kung Fu Panda (first one) on DVD (and I’m pretty sure on Blu-Ray) where movies are sold. 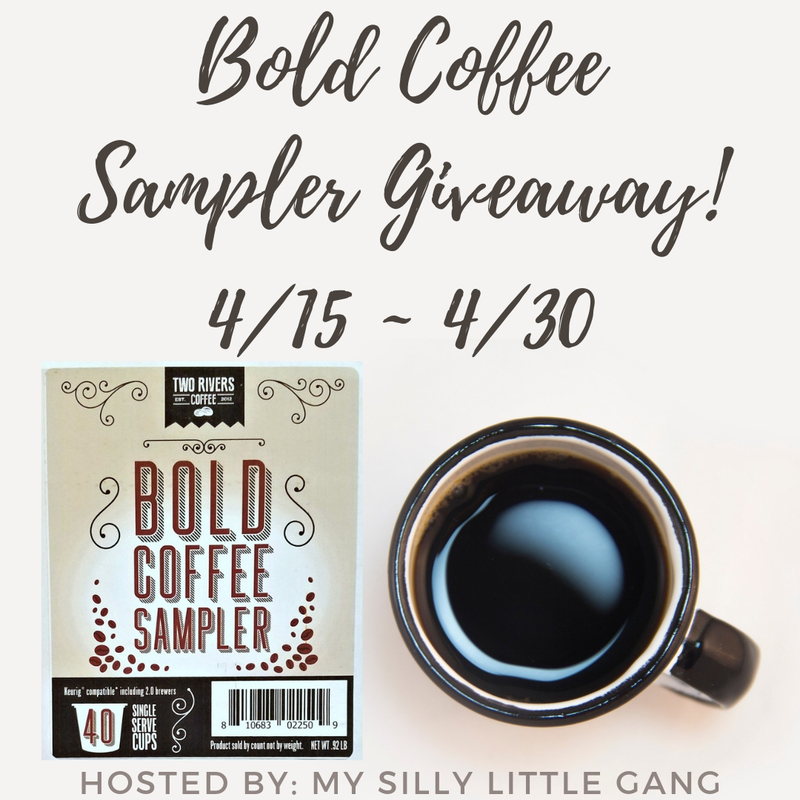 Want to win the same prize pack that I received? One of my lucky DustinNikki Mommy of Three readers will win a prize back as shown above! I cannot guarantee which box of cereal or Spin Fighter Toy you will recieve but prize pack includes a box of General Mills cereal with Spin Fighter Toy inside, and additional Spin Fighter Toy, and a DVD copy of the first Kung Fu Panda movie! Prize pack valued at approximately $25. *Tweet about my giveaway and leave a URL of your tweet in a comment so that I can verify your tweet (1 entry and can be done once daily) Leave a comment with URL each time you tweet. You can use the example below or use the twitter button at the bottom of my post. If you use the button, my hashtag @dustinnikki should already be included in your tweet. If you use the tweet button, please include hashtag #myblogspark in your tweet. Giveaway is open to the US only. 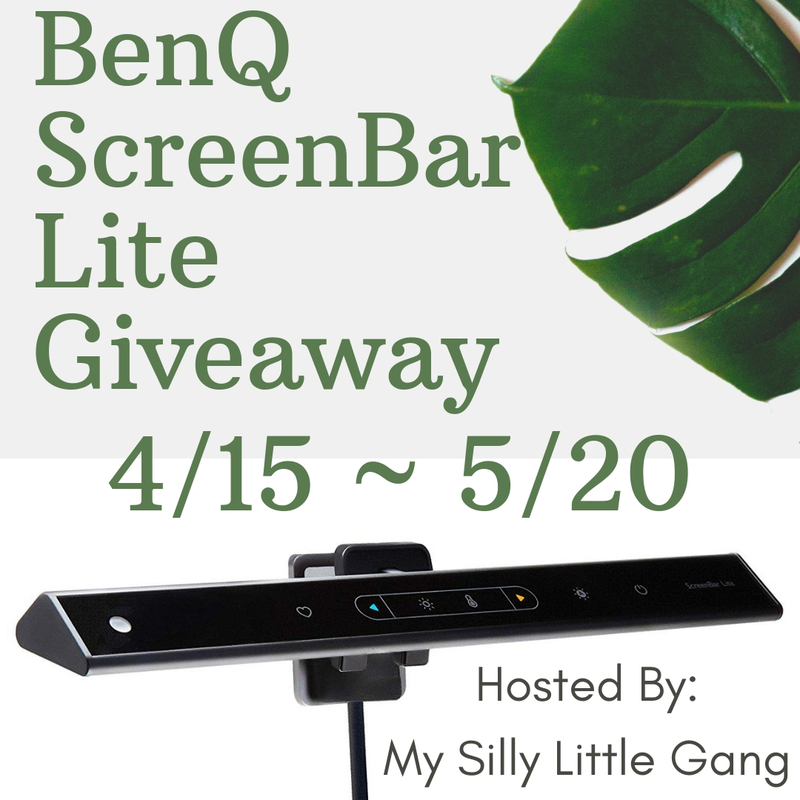 Giveaway will end June 13 @ 11:59 PM (EST). Winner will be chosen using random.org. Winner will have 48 hours to respond after I contact via email. If winner does not respond, a new winner will be chosen. Good Luck! General Mills and DreamWorks provided me with the prize pack, information, and additional prize pack through MyBlogSparkTM for free. I was not paid to write my review and any opinions expressed in my review are 100% my own. I subscibe by google reader! I folow you on twittr! I would love to see it with my daughter! We love apple cinnamon cheerios! My kids favorite character is Monkey. I entered the boogie wipes giveaway. I entered the episencial giveaway. I follow you on fb (jody g h). I follow with gfc (psychdog) and we love honey nut Cheerios. My kids love Kung Fu Panda. My husband and I liked Shifu the best! Hope to take all three kids. I entered the boogie wipes giveaway! I plan on taking my grandchildren. We love Po for sure!! I love Po the most. 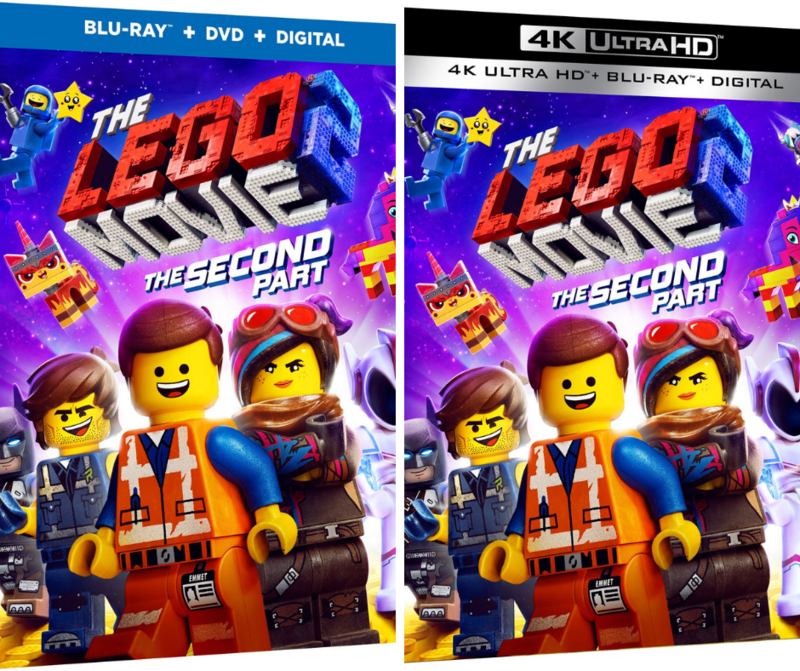 I plan on taking my son to the movie. we love the original cheerios! I like DustinNikki Mommy of Three on facebook. My daughter loves Reeses Puffs (and so do I!). Thanks!